SARAH Hawthorn spent two months in a coma and was so ill her family were preparing for her funeral. 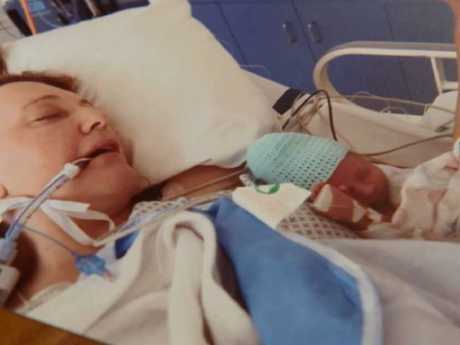 Unaware she had even given birth to her son, doctors were unsure if the Victorian woman would ever recover or wake to meet her new baby who was delivered by emergency surgery. Six months on, Mrs Hawthorn considers herself one of the lucky ones after contracting and beating the deadly flu virus which smashed the country last year. But she insists she has no idea why she is alive today. "I don't know why, I don't know why I'm the lucky one," she told 60 Minutes' reporter Karl Stefanovic. "It nearly killed me and it has killed other people." More than 1100 people died and 30,000 were left hospitalised after the deadly strain of influenza - the H3N2 - hit the country, according to the Australian Medical Association. Doctors also warn it's not just the elderly and vulnerable who can die from the virus. 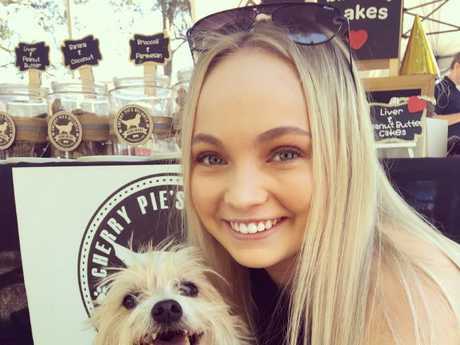 Maddy Jones, 18, was on holiday in Queensland in October last year when she fell ill. 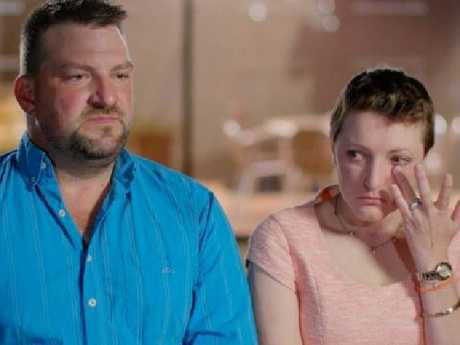 Her parents Damian and Danielle revealed their heartbreak and told Stefanovic that doctors warned them she might not survive. "She just said she felt a bit off-colour and then all of a sudden they're telling me that she might not survive," Mr Jones said. "We just told her we loved her and she was going to be OK ... but she wasn't." According to AMA vice president Dr Tony Bartone this year's flu had the potential to be just as dangerous and he stressed the importance of vaccination. Dr Bartone told news.com.au that while the vaccine wasn't 100 per cent effective, it at least gave people a fighting chance should they be struck down with the virus. He also said he believed everyone should be vaccinated where possible, including the fit and healthy. "This is a serious illness that's not to be confused with the common cold," he said. "Every season there's a chance we can have a surge (in cases and severity)." Dr Bartone said the virus could change year on year and it could be minor or major. "Some years the mutations are massive and one of the ways we can protect ourselves is to get the flu jab," he said. "Even if it's 70 per cent effective then there's a significantly lower risk of spreading it and lowering the risk of hospital admissions." Dr Bartone said doctors and hospitals last year saw their biggest rise in admissions since 2009, something which was equally concerning as this season approaches. He said businesses were smart by offering workers free flu jabs, with a 10 minute vaccination better than having a worker laid up in bed for two weeks. "Complacency is a huge issue," Dr Bartone said. "People may have a small side effect such as a sniffle or sore arm but that passes within 24 hours." Dr Bartone said he didn't understand how anyone wouldn't take the chance to be vaccinated against it, particularly given the severity of last year's strain. Dr Bartone's call comes as doctors reveal they are developing a universal flu vaccine that could protect people for up to 10 years. The Director of the National Institute of Allergies and Infectious Diseases, Dr Antony Fauci told 60 Minutes the vaccine would be a huge game changer and could be 90 per cent effective. Currently the jab is administered on a yearly basis. The issue of vaccination has also come under the spotlight after the federal government announced yesterday all staff at aged care facilities will be required to have the flu jab following last year's horror outbreak. 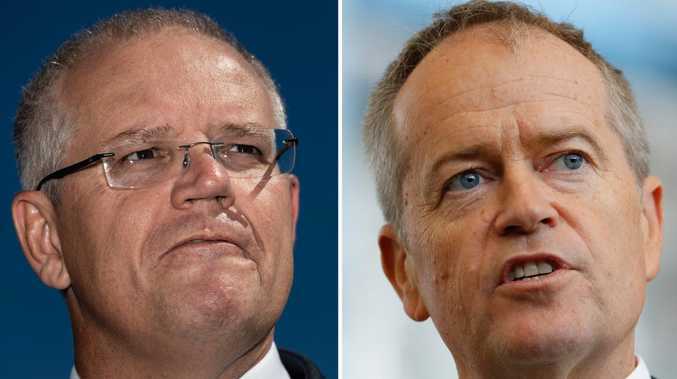 Health Minister Greg Hunt and Aged Care Minister Ken Wyatt said the government will make it mandatory for "every aged-care provider to offer the flu vaccine to every single worker". However it remains unclear what happens if a member of staff refused to be vaccinated. The government has made two new flu vaccines available free of charge to more than three million Australians aged 65 years and over. The flu jab is also currently free Aboriginal and Torres Strait Islander people aged six months to five years and 15 or older, pregnant women and those with medical conditions who are at increased risk of contracting the virus.